I’ve always loved buttermilk. My mom used to drink it straight in the summer to keep cool (that’s a scientific fact apparently!) and my grandmother made the most delicious buttermilk frosting among other things (also a verifiable fact! 🙂 ). It was a staple in our house for baking, dressings, marinating “oven fried chicken” and even for skin treatments (we used it for loads of things including sunburns!). I don’t know if I ever opened the fridge without seeing a small pitcher of the liquid gold there on the upper right shelf. Only recently did I make the connection that it was a PITCHER of buttermilk instead of a carton. My family never bought buttermilk. They made it. Of course, we’re talking about cultured buttermilk here, which is what most people think of nowadays when you say the word. Traditional buttermilk is the very thin, watery yellowy-green liquid left over from the process of making butter (it’s also wonderful for baking and a nice little drink on its own!). Cultured buttermilk, on the other hand, is what you find in stores today: rich, thick, tangy sunshine. Kind of like drinking liquidy yogurt. Yum. Because buttermilk contains healthy bacteria called probiotics, it passes easily through the digestive system. The living microorganisms transfer into your stomach and colon to help you maintain a healthy digestive system. In the gut, probiotics manufacture vital vitamins, protect your colon from carcinogens and other free radicals and boost your immune system. The probiotics in buttermilk protect your body against cardiovascular disease by helping your body manufacture important nutrients necessary for optimum health. Like milk, buttermilk is loaded with B12, phosphorous and potassium, important sources of energy. It is high in protein, an effective muscle-building ingredient. Buttermilk also is an effective source of calcium, vital for strong teeth and bones. Sufficient calcium intake helps you prevent osteoporosis and assists your body with blood clotting. It helps reduce muscle contractions and is necessary to maintain a regular heartbeat. The calcium in buttermilk is higher than that found in whole milk because calcium does not reside in the fat found in dairy products. Interesting, huh? Who knew? Cardiovascular health? Boosted immune system? Digestive improvements? Count me in! Store bought stuff can get pricey, though. . .last I checked, my local Safeway has Knudsen’s brand for about $3.19 per quart. That’s over $12 a gallon! While I know that you can get store brands a bit cheaper, or catch it on sale, it’s still a whole lot more than regular milk is per gallon and can be a sizable financial investment. . .especially if you use it frequently. So what’s a Practical Pioneer to do? Make your own! And boy, how easy it is! Want to know how? add milk until you are about an inch from the top. . .skim, low fat or whole fat works. Replace the lid and shake to mix very well. Set in a warm spot (I put it behind my wood stove in the winter), out of the sun. 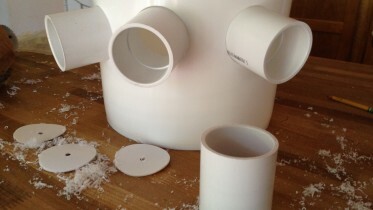 It will become thickened in that time and ready for use. 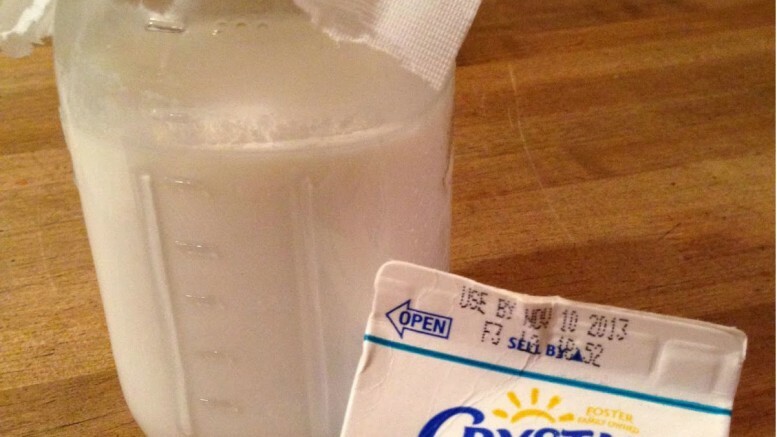 Refrigerate whatever you don’t need immediately and use within two weeks. You can keep re-culturing milk pretty much forever, too, to keep a constant supply of fresh buttermilk at hand. Drink a small glass each day to boost your overall health or use in your favorite food and beauty recipes . . . and don’t forget to keep it going! Dental Health via Oil Pulling? 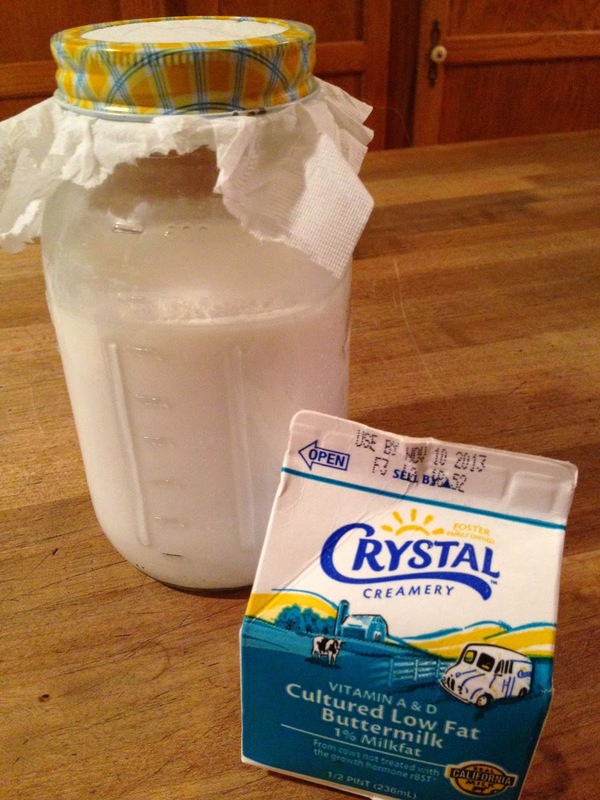 Be the first to comment on "Home Made Buttermilk!"